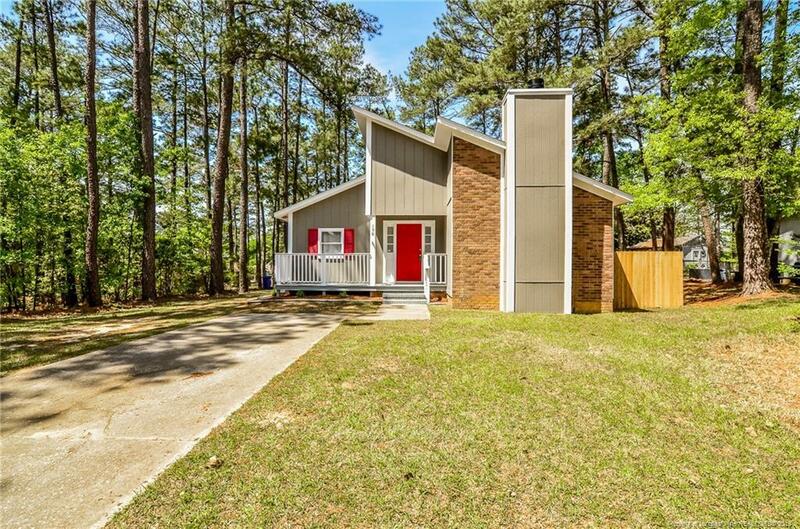 Renovated home close to Fort Bragg gate and shopping with 3 bedrooms and 2 full bath. Fresh paint on the exterior with new landscaping. Front porch with entry to home. Foyer with coat closet and open concept to living and dining area. Living space has new carpet and fireplace. Great room for dining table and large bar for more sitting. Open kitchen with great cabinet space and stainless steel appliances. All bedrooms have new carpet and great closet space. Hall bath has tub/shower combo for guest. Master bedroom with full bath. Extra storage throughout home. Insulated windows. Great size backyard with fence. Private patio off of living and kitchen space.